As the Democratic Party National Convention is set to kick off Monday July 25 in Philadelphia, presumptive presidential nominee Hillary Clinton is spending two days at home in New York, finalizing her decision for a running mate. Clinton is expected to formally introduce her Democratic ticket during a weekend campaign swing in Florida, several Democrats familiar with the vice presidential search told CNN. Clinton is planning to announce her decision in a message to supporters, and make her first appearance with her vice presidential candidate in Tampa on Friday or Miami on Saturday. 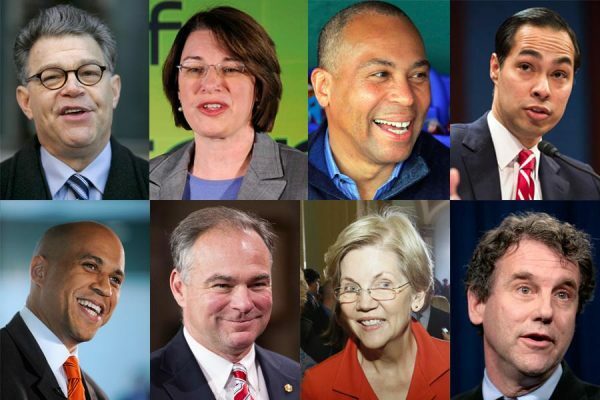 Sen. Tim Kaine of Virginia and Agriculture Secretary Tom Vilsack have emerged as leading contenders after a rigorous vetting process, Democrats close to the selection believe, but they are not the only two prospects still in contention. U.S. Housing and Urban Development Secretary Julian Castro, a prominent Hispanic political figure from Texas, is also believed to be in contention for the VP role, among others. Meanwhile, the speaker’s list for the 2016 Democratic National Convention in Philadelphia reads like a who’s who list among party elite. President Barack Obama, vice president Joe Biden, former president Bill Clinton, First Lady Michelle Obama and presumptive nominee Hillary Clinton’s biggest primary challenger Sen. Bernie Sanders are all slated to address the crowd at the four day event scheduled to commence on Monday July 25 at the Wells Fargo Center in Philadelphia.